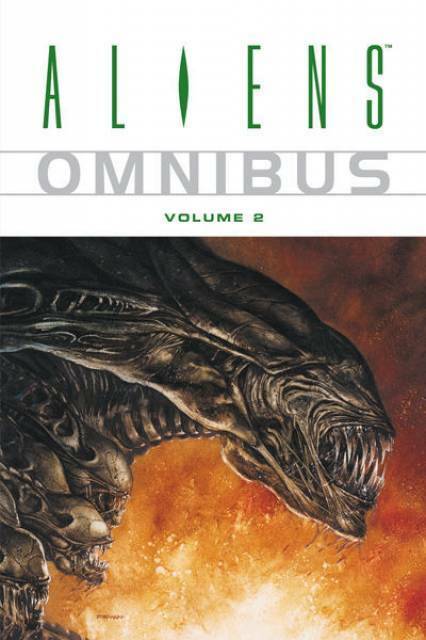 Aliens Omnibus Vol 2 - купить по выгодной цене | Магазин комиксов "Двадцать восьмой"
Many humans have died horribly at the claws of the Alien. The surface ofEarth has been devastated to cleanse the beasts from our world. But thecommercial value of this scourge has never been in doubt, especially when thespecial properties of the Alien Queen's royal jelly are discovered. WillMankind once again risk its very survival as a species in order to sleep withthe Alien?Dark Horse Comics' critically acclaimed Aliens seriesset the bar for how the universe of a popular film could be expanded throughgraphic fiction. 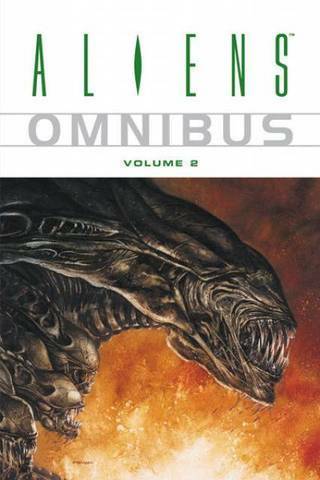 Aliens Omnibus Volume 2 collects more of these excitingseries in a value-priced, quality-format omnibus, featuring over four hundredstory pages in full color. Includes the complete story arcs of Genocide,Harvest and the never-before-collected, epic-length ColonialMarines.